Road trips offer distinct advantages over other means of travel. You can change your itinerary at a moment’s notice, you can take in unexpected sights on the way to your destination and you don’t have to deal with airline security. But while a road trip might seem like a budget vacation, gas purchases can make your costs skyrocket. With a credit card that rewards gas purchases, you can recoup some of that cost, making your trip more affordable. The best cards for road trips earn rewards as you fill up at the pump, lessening the burden on your wallet. As a bonus, they may provide other road-centric perks. And because you can’t guarantee your gas station of choice will always be within reach, the best road trip cards we highlight here aren’t tied to specific gas stations. Why We Picked It: The 3% cash back rate on gas is solid, there are plenty of other ways to earn cash back rewards and as a bonus, the card provides protection policies to keep you safe on the road. Benefits: Cardholders have a wide range of ways to earn cash back, with 3% cash back on gas. The $150 signup bonus is a nice perk. 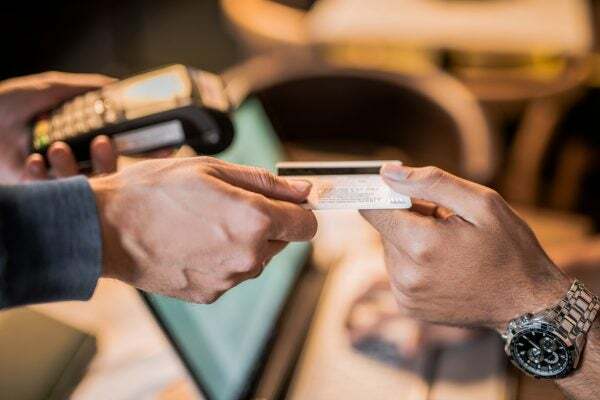 The card also includes emergency roadside assistance, additional car rental insurance and a global assistance hotline to help when you need medical, legal or financial assistance. Drawbacks: Cardholders pay an annual fee of $95. Why We Picked It: Cardholders earn 3% cash back on gas and Bank of America customers get extra cash-back redemption value. Benefits: There’s a nice mix of ways to earn cash back, with 3% earnings on gas purchases. Bank of America customers get an additional 10% value when they deposit their cash back into a Bank of America account. There’s also a $100 signup bonus, and no annual fee. Drawbacks: If you aren’t a Bank of America customer, you won’t earn the full cash back potential. Why We Picked It: As you spend, your card earns points that can be redeemed toward travel purchases. Gas purchases earn five points per dollar. 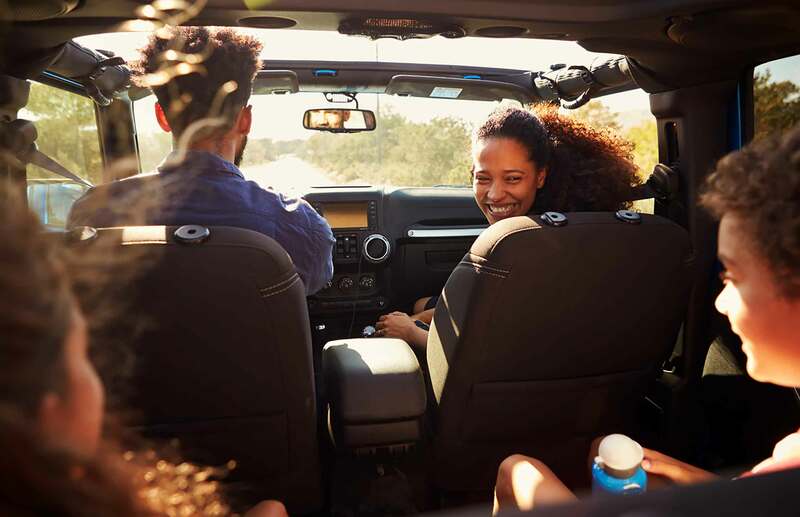 Benefits: Points can be redeemed for your road trip expenses, including lodging and car rentals, and gas purchases earn the highest number of points. If you can qualify for the lower APR, you’ll get a fantastic interest rate. You’ll also get special savings and discount offers from select retailers. Drawbacks: The card is only available to PenFed members, who include active duty military, educators, government employees and the families of members. If you can’t qualify for PenFed membership, you can’t get this card. Why We Picked It: The year-round 4% cash back on gas purchases with this card is fantastic, and you can also get 3% back at car rental agencies and the diners or greasy spoons you hit on your road trip. Benefits: The range of ways to earn cash back make this a well-rounded card. Plus, you get car rental insurance, travel accident insurance and 24/7 emergency assistance. Drawbacks: You need a paid Costco membership to get this card. There’s one of two ways you can use a credit card to make your road trip more affordable. You can select a points rewards card that earns points that can be redeemed for travel purchases, such as lodging and car rentals. Or, you can choose a card that earns you cash back as you spend on gas and other purchases. Either way, you’ll want a card that drives down the cost of your road trip. If you plan to use your card outside of your road trip, you’ll probably want to pick a card that fits your spending the rest of the year. You can look at the rewards and purchase categories for each card, and choose one that will best reward your overall lifestyle outside of your road trip. Finally, examine the additional travel benefits. Gas rewards are great, but emergency roadside assistance or additional car rental insurance can provide additional peace of mind while you’re on the road. What Is Required to Get a Gas Rewards Card? Cards that reward gas purchases often require good to excellent credit. If your credit doesn’t measure up, you may be better off hunting down a card with lower credit requirements. If you aren’t sure where your credit stands, you can check two of your credit scores for free at Credit.com.